Pelikan, as you know, makes more than just great pens. 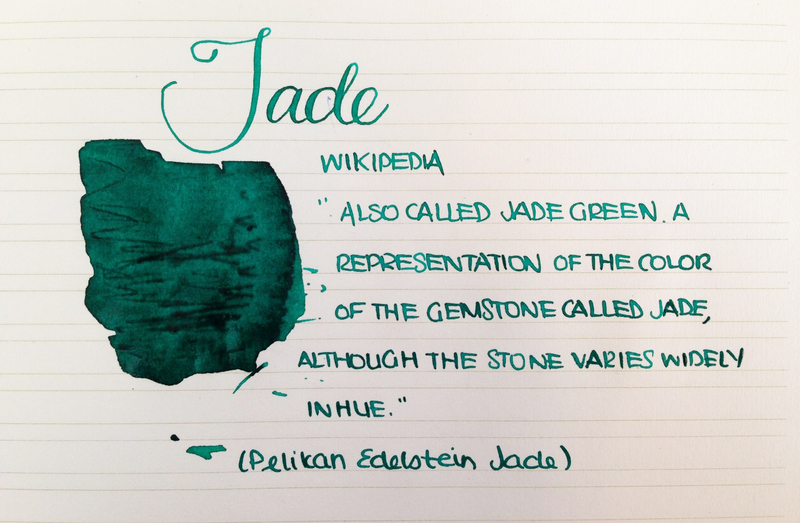 The Pelikan Edelstein range is named after gem stones, and in this case, Jade. This is just a representation of the gemstone, which can apparently vary in color. Being a natural material, that’s not surprising. I like this one a lot. This entry was posted in Ink and tagged Pelikan. Bookmark the permalink. Follow any comments here with the RSS feed for this post. Post a comment or leave a trackback: Trackback URL.